Ambrose Lugg, his wife and oldest son lived in West Bromwich in 1891. By 1901 they had moved to Wollaston and there were then three sons and a 4 month old daughter recorded in the Census. In 1911 the family consisted of Ambrose and Annie and their children Fred, aged 20, Hubert, aged 18, Samuel, aged 16, Annie, aged 9 and Hilda, aged 3. 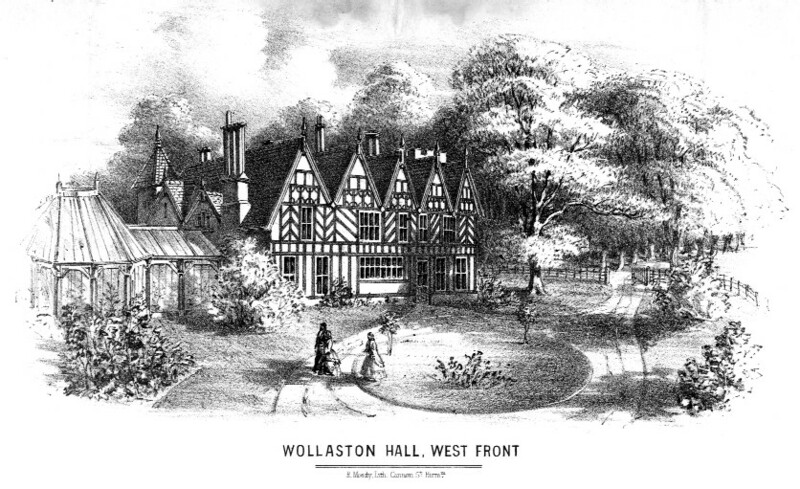 Later in 1911 the family emigrated to Australia where they lived in Brisbane and named their house Wollaston. Information came from Cameron Davidson, Ambrose’s great grandson who thinks that the photograph may have been taken in 1910/1911. 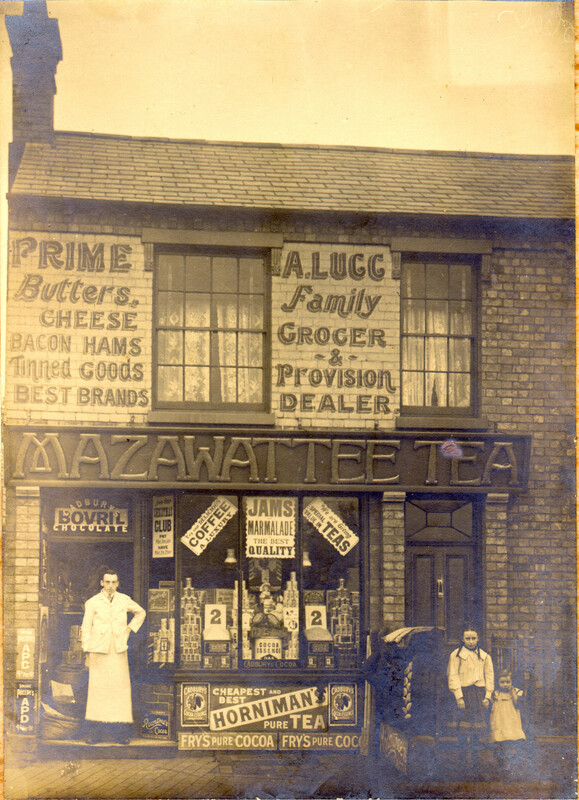 Anne, the older girl, used to tell us that the “Mazawattee Tea” sign was installed not too long before the photo was taken. The letters were coloured in what she described as gold leaf and she recalls peeking out of her upstairs window at all the passers-by who would stop to stare at the sign. We presume, from birth records, that the family moved to Wollaston around 1893, although the 1901 census is the first record to firmly place them in the shop. Hubert (in the photo) revisited the area in 1953, when the building was still there, including the sign. On a subsequent trip with his brother Samuel in the mid 70’s the building had been demolished for expansion of the garage. One wonders what the grocers of 1901 would have made of the Aldi store here now.